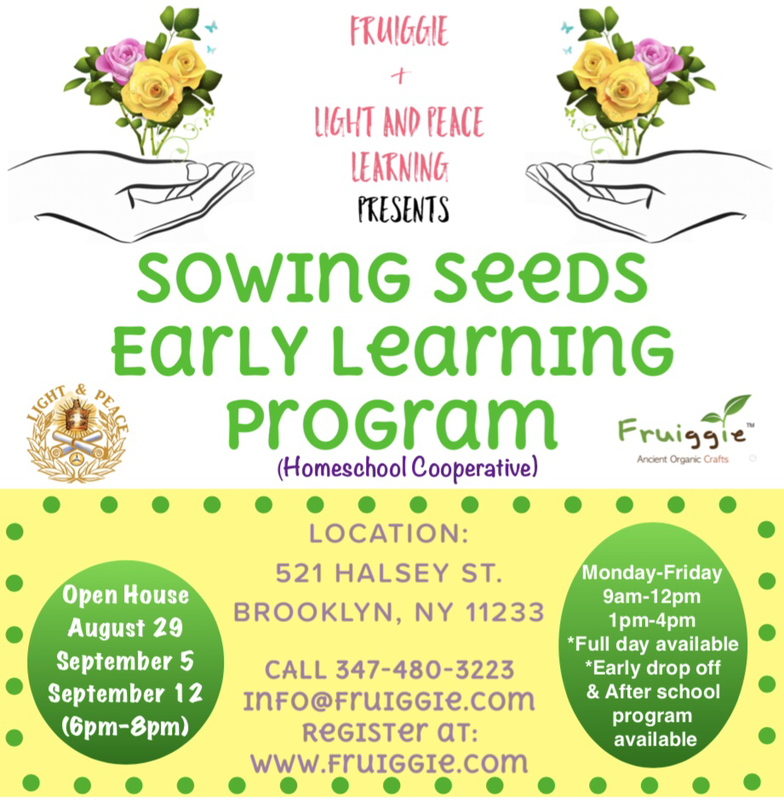 “Fruiggie” and “Light and Peace Learning” have partnered to provide a Homeschool Cooperative and tutoring initiative called Sowing Seeds Early Learning Program for ages 2-6yrs and a after school program for ages 5-12yrs. This program will focus on Sustainable living through Nature with a curriculum infused with S.T.E.A.M. The 3 most important necessities for us to survive are Food, clothing and shelter. Our program teaches students through S.T.E.A.M how to utilize nature for these everyday needs. Students will learn about recycling, growing their own food, healthy eating habits, financial literacy, ancient arts and crafts, self love, mindfulness, and more. We will take class trips to museums, gardens, local businesses to show support, and many more fun adventures. We strive on our youth understanding how to care for themselves as well as the earth by being eco-conscious.